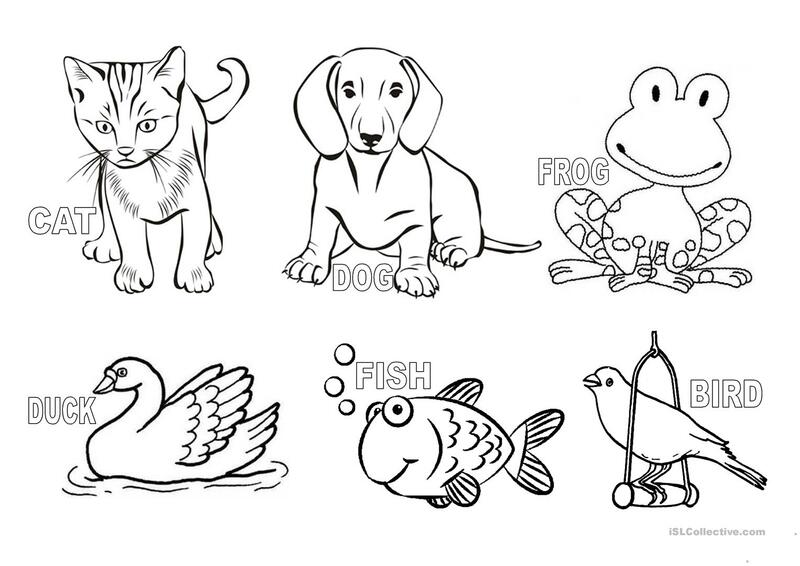 Animals (a cat, a dog, a frog, a duck, a fish, a bird) for young learners. Let them colour! The above printable, downloadable handout is meant for elementary school students and kindergartners and nursery school students at Beginner (pre-A1) and Elementary (A1) level. It is excellent for developing your students' Spelling skills. It is about the theme of Animals.